Videos - Page 30 of 32 - Ripley's Believe It or Not! Jesus Aceves, or Wolfman, grows hair in the most peculiar place … all over his face! 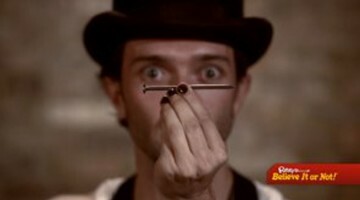 Daredevil Tom Cockerill places himself in danger by drilling into his nose, shoving nails in his nose, or even blowtorching his tongue! 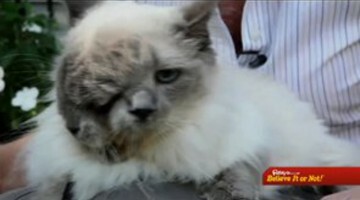 This feline is a little odd… he happens to have two faces! Believe It Or Not! 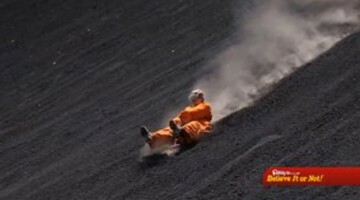 Tourists and Locals alike spend time “sledding” down the sides of a volcano! This opossum isn’t clawing through your trash. 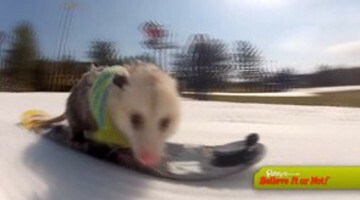 He’s clawing his way down the slopes on a snowboard! Hang Ten! 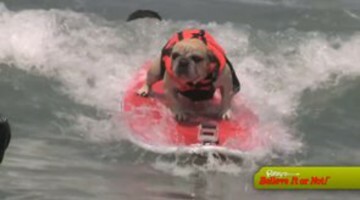 As these surfing dogs catch some waves and show off their skills! 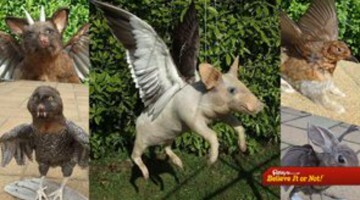 A man named Andrew Lancaster creates “art” through the use of taxidermy by combining different animals. Pegman Kelvin Mercado holds the record of attaching pegs to ones face at 163! 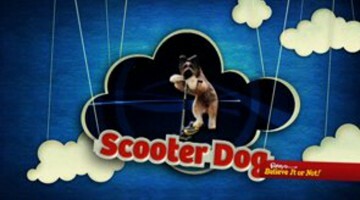 This wild canine has earned how to ride a scooter like a pro! Eli Martinez, or the shark whisperer, has learned how to speak and interact with sharks!